While there’s no such thing as a plantar fasciitis specific running shoe, there are certain shoe types that make a huge difference when coming back from a bout of joggers heel. For most runners who’ve suffered from plantar fasciitis, they often find that along with icing, exercise and night splints, switching to a more supportive shoe makes the biggest difference to their long-term management of the condition. 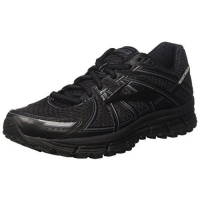 The Asics GT 2000 has been our #1 plantar fasciitis running shoe for the past 3 years! Each year Asics bring out a new version of the shoe and each year we’re extremely impressed by how they seem to listen to feedback and develop an even better shoe. Runners with plantar fasciitis will love the GT-2000 – both the cushioning and stability are excellent and really help to reduce stress and inflammation of the plantar fascia. While this isn’t the lightest shoe in the world (252g for the women’s and 312g for the men’s), the extra weight is well worth it for the level of cushioning and control that the shoe provides. If there is a negative to the Asics GT 2000 it’d be that, as with previous versions, they do take a little bedding in and don’t have that “out of the box – perfect fit”. For fit, as with all previous versions of the GT-2000 it’s worth going up a size as they do run a little on the small size. If there’s one shoe on our list that could rival the Asics GT 2000 for the title of best running shoe for plantar fasciitis then it would be the Brooks Adrenaline GTS 17. The first thing you’ll notice is how this shoe looks – it’s fantastic! The GTS17 is available in a wide range of colors so there’s bound to be a color scheme to match your personality. The Adrenaline GTS 17 is an extremely comfortable shoe that provides a stable ride without making sacrifices on weight. At 252g for the women’s and 303g for the men’s, it’s a little lighter than the GT-2000 and the generous 30mm heel cushioning really helps to soften the landing during the gait cycle. 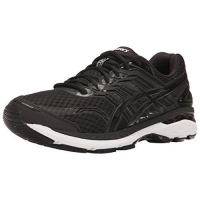 Just like the GT-2000, the Asics Gel Kayano 23 is a firm favorite for those runners with plantar fasciitis. Slip the shoes on and you’re instantly aware of just how cushioned this shoe is. 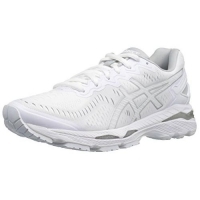 With the Kayano 23, Asics made the wise decision to switch from standard EVA foam and instead use FlyteFoam. Not only is this new cushioning ideal for taking the shock out of each foot strike but Asics claims that it’s 55% lighter than traditional EVA foam! This is a shoe that’s incredibly robust and is just going to take all the miles that you throw at it and keep on trucking. If you do decide to buy the Asics Gel Kayano 23, you’re going to want to go a half size up from what you’d normally wear as they can be a little tight, especially around the forefoot. The shoes listed above really do offer amazing performance for those runners who’re experiencing heel pain. 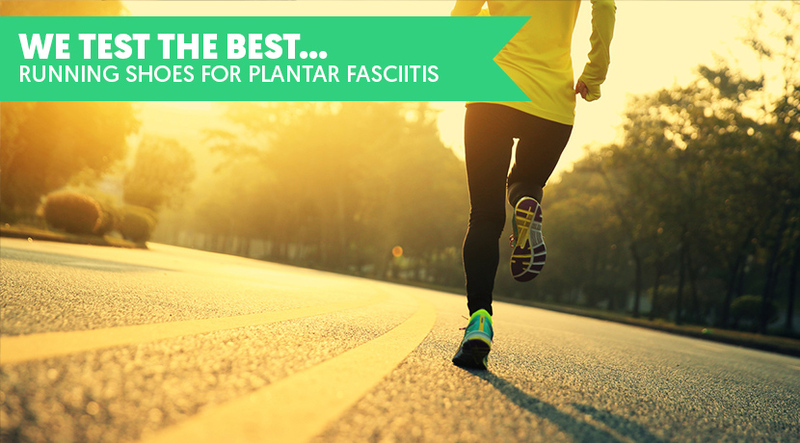 Let us know what you think – have you run in any of our suggested best running shoes for plantar fasciitis? If you have, let us know how you found the experience in the comments below.